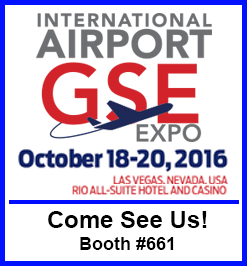 Northern Air Systems has announced that it plans to exhibit this year at the 2016 International Airport GSE Expo, in Las Vegas, NV. The event is being held at the Rio All-Suite Hotel & Casino between October 18th and 20th. We will be at Booth #661 so be sure to stop in and see our amazing HVAC display and meet with our sales and executive teams to learn more about what we can do for the aviation industry. Ground Support Worldwide magazine, the largest global GSE publication, and the International Airport Equipment Manufacturers Association. (IAEMA) have reached an agreement to jointly host the largest GSE-only industry event, the International Airport GSE Expo. The event is scheduled for October 18-20, 2016, at the Rio All-Suite Hotel and Casino, Las Vegas, Nevada, USA. The event brings together Ground Support Worldwide’s GSE Expo and IAEMA’s International Airport Expo, to create the one and only ground support equipment trade show in 2016.